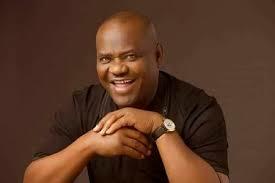 Governor Nyesom Wike of Rivers State has urged Peoples Democratic Party (PDP) presidential aspirants not to exhibit desperation, but allow the will of God to prevail. This was even as one of the aspirants and Governor of Sokoto State, Aminu Tambuwal, has declared that immediate steps must be taken to set the country on the path of development, following what he called ‘abysmal’ performance of the All Progressives Congress (APC)-led Federal Government. Governor Wike spoke, on Monday night, at the Government House, Port Harcourt, during a consultative visit by the Sokoto State Governor, advising presidential aspirants to conduct themselves in a decorous manner to advance the interest of PDP. In the words of Governor Wike, “Tell Nigerians what you want to do for them. Sell yourself. Do not be desperate. If it is God’s will, nobody can stop you”. Governor Wike urged Tambuwal to support whoever emerges as the party’s presidential flagbearer in the interest of the party, if he loses out of nomination during the forthcoming National Convention. The governor noted that Tambuwal is one of the presidential aspirants with the capacity to lead and revive the country. Governor Wike, however, said that without a review of the revenue sharing formula of the country, states will not be able to pay the new minimum wage. He thanked the leadership of the party for approving the hosting of National Convention in Port Harcourt, saying that the convention will positively impact the state’s economy. Earlier, Governor Tambuwal had noted that the country is presently hanging on a cliff due to the failure of the APC-led Federal Government. According to the Sokoto State governor, “We should be able to bring back our country from the brink. As it is today, this country is on a cliff and there is a need for us to pull it back”. Tambuwal said that Nigeria requires a leadership that has the capacity to unite the country, introduce fresh ideas in leadership and enhance the development of the nation. “We are all aware that this country has never been this divided. This country has never been this polarised. “There is a need for us, not only to have a 21st leadership, but a leadership that is Pan-Nigeria. “We need a leadership that understands the complexities of this country”, he said. The PDP presidential aspirant noted that experiences garnered as a former Speaker of the House of Representatives and the incumbent Sokoto State Governor have equipped him to offer Nigeria the right leadership it requires. He urged PDP members to nominate him to fly the party’s flag during the 2019 presidential election, pointing out that he has the capacity to lead the party to victory. Tambuwal informed that when elected, he would work with stakeholders to review the constitution of the country to accommodate the aspirations of different sections of the country. On security, the presidential aspirant said he would deploy security and fresh ideas to improve the security of the nation.